2013 DragonBox Coding competition closed! What an impressive selection of applications we have this year. I am pleased to announce the competition closed. 8Blitter - Submitted by Lordus. The guys over at Lavalit have released a new version of the beats of rage clone for the Dreamcast, Dingoo, PSP, Linux, Windows, GP2x, Nintendo Wii and Wiz. created by the wonderful folks over at http://www.senileteam.com. Incomplete change in entity defense property script access. Now fixed. The Pandora was billed to be the PSP Killer and to be honest it is an awesome console, the console looks like a DS but with larger screen and with a keyboard and was extremely powerful. Sadly never got my hands on one despite posting the news to all the worlds major sites which helped get the preorders they needed. So apart from reading others viewpoints ive never been able to be truely amazed by what i posted at one time has the PSP Killer. Another of DCEmus sites, Pandora Homebrew News has today been smartened up and revamped. Whats new on this and our other sites that have been revamped lately is that when you click on a news story you stay on the site instead of going to the forums. Remember the Pandora? 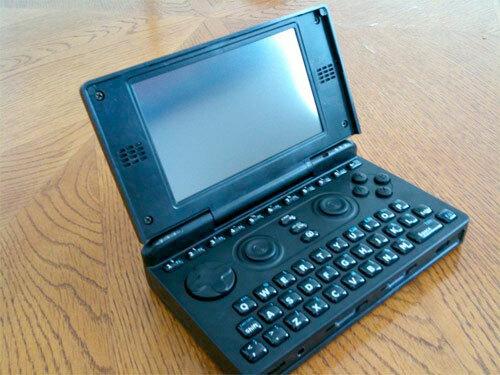 Back when the likes of the PS Vita and the Nintendo 3DS remained conceptual sketches in top secret bunkers, this open-source handheld paired up a clamshell form factor with analogue game controls, a QWERTY keyboard and a dream. It's been a slow-burning dream; last time we heard from the OpenPandora project, it had managed a limited (premium-priced) run, with manufacturing hobbled by problems. But, like its namesake, there was always hope and fans of the platform ponied up around half a million euros to bring the four-year-old project back to life. It's now set to go into full production next month with a new manufacturer, but unfortunately the same specs. While the 4.3-inch 800 x 480 touchscreen sparkled a few years earlier, it's now being supplanted by what we're getting on our smartphones. However, those tempted by an open source OS, a battery life of over ten hours and a very faithful fanbase, can stake their claim to one at the source below. We've got our fingers crossed for you.